Fellow investors, there is no better time than now to be involved with Real Estate in Las Vegas. Thousands of millennials are moving here from California so that they can have a life free of high rent payments and ridiculous traffic. 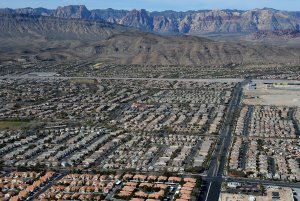 So think about it, Californians are leaving their home state for a more affordable Las Vegas. In fact, Las Vegas is predicted to have the Top Housing Market in 2018 in a study done by the National Realtors Association. Most of these millennials will be first time home buyers and are looking for a nice and affordable home to start their families. Many of the houses that we purchase and rehab in Las Vegas are within the financial sweet spot for these millennials. 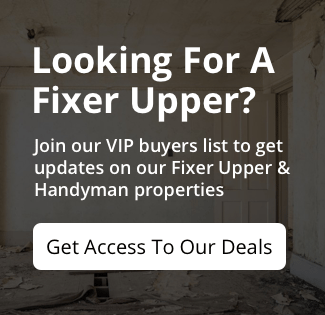 We encourage you to read the following article which we believe will give you a big picture view of the need for moderately priced homes in the Las Vegas, Nevada area. The rent steals so much of your paycheck, you might have to move back in with your parents, and half your life is spent staring at the rear end of the car in front of you. You’d like to think it will get better, but when? All around you, young and old alike are saying goodbye to California. “Best thing I could have done,” said retiree Michael J. Van Essen, who was paying $1,160 for a one-bedroom apartment in Silver Lake until a year and a half ago. Then he bought a house with a creek behind it for $165,000 in Mason City, Iowa, and now pays $500 a month less on his mortgage than he did on his rent in Los Angeles. Van Essen was one of the many readers who responded in October when I reached out to people who got sick and tired of the high cost of living in California. I heard from someone in Idaho and others who moved to Arizona and Nevada. “If housing costs continue to rise, we should expect to see more people leaving high-cost areas,” said Jed Kolko, an economist with UC Berkeley’s Terner Center for Housing Innovation. Las Vegas is one of the most popular destinations for those who leave California. It’s close, it’s a job center, and the cost of living is much cheaper, with plenty of brand-new houses going for between $200,000 and $300,000. So I went to Sin City to see whether, when you add up all the pluses and minuses, there is life after California. Cyndy Hernandez, a 30-year-old USC grad who grew up in Fontana, says the answer is yes, absolutely. “It’s easier to live here and have a comfortable lifestyle,” said Hernandez, a community organizer with NARAL Pro-Choice Nevada. I visited Hernandez in the two-bedroom, mountain-view “apartment-home” she shares with a roommate. Each pays $650 a month in a gated development with free Wi-Fi, a swimming pool and cabana-shaded deck, fitness center, media room and complimentary beverages. It’s like living at a resort. Like other transplants I spoke to in Nevada, Herndandez didn’t want to leave California. It’s home. It’s where she went to school and where her parents still live in the house she grew up in. But unless you choose a career that will pay you a small fortune to manage costs driven higher by a stubborn shortage of new housing, California is not a dream, it’s a mirage. Moving to get a better job or move up the workplace chain is nothing new. But what’s going on here seems different — people leaving not for better jobs or pay, but because housing elsewhere is so much cheaper they can live the middle-class life that eludes them in California. After college, Hernandez worked as a congressional staffer in Washington, D.C., and then went to Chicago for a few years. But the West drew her back. Not California, but Nevada, where she worked on Hillary Clinton’s presidential campaign in Las Vegas and then joined the staff of a state legislator in the state capital. She moved to Las Vegas in June, enjoyed exploring the city beyond the Strip and made new friends, and her financial stress melted away in the desert sun. Now she’s saving up for a house, which she doesn’t think she would ever have been able to do in California. Hernandez connected me with Arlene Angulo, 23, who grew up in Riverside, worked as a cast member at Disneyland, loved the L.A. culture and got her teaching credential at UC Riverside. She had her pick of two teaching jobs — one in the Los Angeles area and one in Las Vegas. In Summerlin, Angulo and a roommate each pays $600 for a big three-bedroom apartment. Angulo is in graduate school at UNLV while teaching by day, and said she’s going to start saving up to buy a house in the area. Jonas Peterson enjoyed the California lifestyle and trips to the beach while living in Valencia with his wife, a nurse, and their two young kids. But in 2013, he answered a call to head the Las Vegas Global Economic Alliance, and the family moved to Henderson. “We doubled the size of our house and lowered our mortgage payment,” said Peterson, whose wife is focusing on the kids now instead of her career. Part of Peterson’s job is to lure companies to Nevada, a state that runs on gaming money rather than tax dollars. “There’s no corporate income tax, no personal income tax … and the regulatory environment is much easier to work with,” said Peterson. Breanna Rawding, 26, felt the squeeze. She grew up in Simi Valley and until recently worked in Anaheim as a marketing coordinator, but lived in Burbank because family friends let her stay in a tiny backyard cottage for just $400 a month. Her commute, by car and train, took between 90 minutes and two hours each way. She wanted to move to the Platinum Triangle area, near her job, but scratched the idea when she saw that studio apartments were going for as much as $1,700. Rawding endured the commute, as well as a long-distance relationship with a boyfriend who was raised in Torrance and went to UCLA, but lived in Las Vegas. There, he could afford a nice apartment on his teacher’s salary, and he recently signed papers to buy a house in a new development. “I didn’t want to leave California. I love the weather, I love the outdoors, I love my family and friends,” said Rawding, a Chapman University grad. But in California she saw a future in which she’d be trapped, indefinitely, by high rents, ridiculous commutes, or some combination of the two. “I saw articles about millennials leaving California because they were never going to be able to have houses they could afford,” she said. In June, everything changed for Rawding. She got a marketing communications job with the Global Economic Alliance in Vegas and rented a lovely $900-a-month apartment that’s so close to work, she goes home at lunch to let her dog Bodie out. And it’s near her boyfriend’s place. California, the place where anything was possible, has become the place where nothing is affordable.